You’ve just bought yourself a beautiful new set of speakers, you hook them up to your amplifier, and then you are seized by doubt because the mid-range and low frequencies sound really lean and the bass seems muffled and hollow. Don’t panic! Your speakers are new and need to be broken in. But what exactly does this mean? Indeed, why is it necessary to break in speakers? And what is the easiest way to tackle this important process? I posed these questions and others to Thierry Comte, who is the head of Welcohm Technology, a company located near Besançon (in eastern France) that designs and manufactures ATOHM speakers/loudspeakers. He is also an acoustical engineer with many years of experience. Could you explain how to break in a speaker? The breaking-in process (also called running in period) is indeed an absolutely essential step. In particular, it affects the loudspeaker’s flexible parts: the surround and especially the “spider”, which is located at the rear of the driver. Although the surround (which is made of synthetic rubber) and the diaphragm aren’t much affected by the breaking-in process, the spider most definitely is. It is the spider that centers the voice coil and restores the diaphragm to its resting position. Ninety-nine percent of the time, spiders are made out of epoxy-dipped fabric that has been bakelized. During the breaking-in period, you are essentially creating microcracks in the epoxy that allow the cloth fibers to move more freely (to bend and twist); in other words, you are making the spider as supple as it needs to be. In contrast to a car motor—which you break in gently over its first 2000 km—the spider really needs to be put to work to reach an optimal level of flexibility. To do so, you need to play the loudspeaker over its full dynamic range. If you only use part of the range, the loudspeaker will not be properly broken in since the spider will never be forced to stretch all the way in and out (and thus some spots on the spider work little, if at all). As a result, you must simply play the speakers at a sustained volume, making sure that you are using music that contains a wide range of frequencies, including very low frequencies. Certain types of modern music are perfectly suited to this task. Does this mean that breaking in a loudspeaker is a crucial mechanical process that impacts sound production? Absolutely! It is not uncommon for a loudspeaker to demonstrate a 5–10% drop in its resonant frequency after it has been broken in. What’s more, the frequency response and the bass tones are particularly affected by the process. 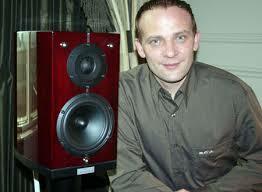 Thus speakers are considered to be mechanically “mature” when their loudspeakers are broken in and stabilized. 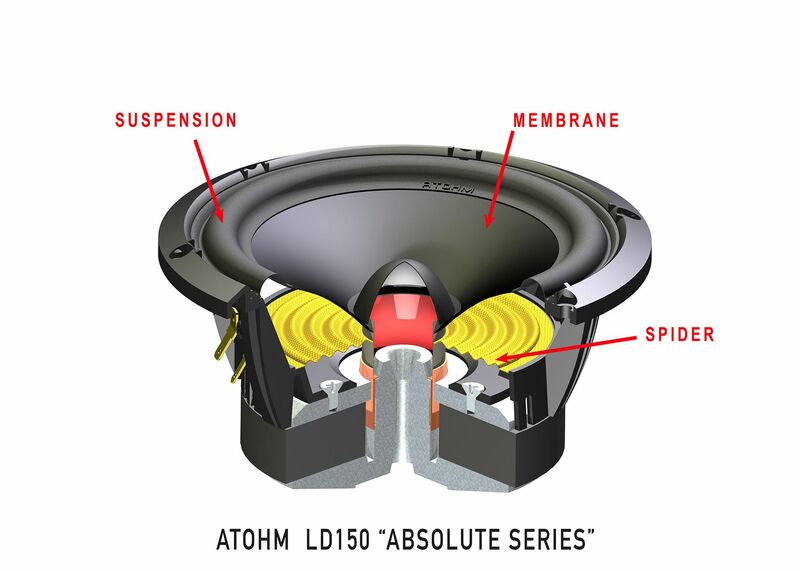 To achieve this goal, the breaking-in process makes loudspeakers work in a way that renders their spiders as flexible as possible, such that speaker characteristics will ultimately match the technical specifications described during product development. A loudspeaker’s performance is optimal and stable only after it has been broken in, and the difference in the clarity and depth of the bass is readily apparent. It should be noted that this breaking-in process is especially important for lower mid-range loudspeakers; it has only a negligible impact on tweeters (high-frequency drivers). However, your perception of higher mid-range frequencies will nonetheless be altered following the breaking-in period because of sound masking effects and the way in which the speaker responds to room acoustics. Does the length of the breaking-in period vary depending on the speaker model? Do loudspeakers of different sizes require more breaking-in? No, in and of itself, loudspeaker size has no effect on the length of the breaking-in period. When it comes to the electromechanical capabilities of the loudspeakers in question, what counts is the type and level of the signal being applied and the breadth of the dynamic range to which the loudspeaker is exposed. Here in our facilities, where we use professional techniques, it only takes 12 hours to break in a speaker. However, it is hard to estimate exactly how long it will take a non-professional to break in a set of speakers using a given musical signal. I would say that most speakers probably require around 50 hours on average. The breaking-in period is also influenced by a speaker’s power requirements. 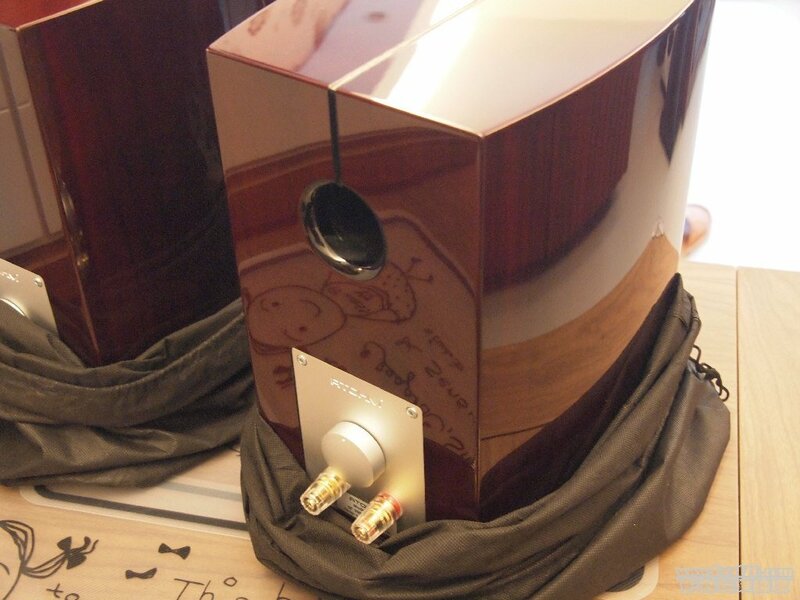 A larger speaker may require more power to get its woofers to properly produce sound. Do you have any other suggestions or tips when it comes to breaking in speakers? For instance, are there things to watch out for? First of all, I would suggest that you simply place the speakers more or less where you are planning on having them set up more permanently. For instance, placing them too close to a back wall will result in more low-frequency sound and will interfere with your ability to accurately judge sound production. When you break in a speaker, you just need to run the same music on loop (and you might want to warn your neighbors if you are going to step out while this is going on). I would recommend using a single set of music that you are highly familiar with for the entire breaking-in period. This test music should include some nice bass and will serve as a sort of reference by which you can judge the changes that are taking place over time. Here is something you can do to avoid any problems with the people around you. You can place the two speakers so that they are facing each other (they should be separated by a few centimeters) and play them out of phase: the two opposing signals will cancel each other out and the volume of the low and medium-low frequencies will be reduced. You will need to reverse the polarity of one of the speakers by switching around its red and black wires. In this way, the breaking-in period will be a lot less intrusive but completely effective. Furthermore, it is highly recommended that you turn off and unplug your amplifier as you play around with the speakers and wiring. This technique will help you keep speaker volume to a bare minimum; however, it is important to be especially careful, regardless of the approach used. You should visually confirm the speaker’s initial volume setting and keep an eye on volume levels throughout. The volume needs to be increased very slowly, and you should continuously monitor the diaphragm’s movement. You must absolutely avoid driving the surround to the limits of its elasticity. You can tell that this limit has been reached if you hear a thump (like a drum beat) or if it sounds like something has hit the driver. If so, it is imperative that you reduce the volume immediately. Usually, when the volume is approaching this limit, the sound produced by the loudspeaker changes and becomes significantly more distorted. It is at that point that you need to be careful not to push the speaker any further. Some people use special CDs to break in their speakers. What do you think about that approach? It’s true, you can find CDs on the market that contain extremely low frequency sounds, and these CDs can be effective. However, it is important to use such tools with caution. It requires a certain degree of expertise, and you need to pay close attention to what you are doing because, although you want to make the spider work hard, you don’t want to push it to extremes and surpass its limits; if you do, you could cause irreparable damage to the speaker. As a result, I suggest that you pursue a more traditional approach when breaking in your speakers: take your time and specifically use one or two musical pieces that contain the entire range of frequencies and low frequencies in particular. Why don’t manufacturers supply customers with speakers that have already been broken in? That idea is fairly problematic for several reasons. First, there are economic concerns. As I have explained, breaking in a speaker requires time. If you tack this additional step on to the manufacturing process, it will naturally raise the price. Second, there are commercial concerns. “Working” a speaker before selling it is simply unacceptable since customers are looking to buy new products. Finally, if you sell a product that hasn’t been broken in, you are providing the best possible guarantee that the product is new and has never been used before. So this means that you simply have to suffer patiently before being able to take full advantage of your product’s performance? Absolutely. However, I think that you shouldn’t see this step solely as a constraint. Rather, it is also an opportunity to discover your new product: you can get acquainted with it and progressively integrate it into your system. Throughout the breaking-in period, you can establish a “sound” memory that will also serve as a frame of reference later on. As soon as the speakers are broken in, you will need to optimize their final location, paying particular attention to their placement relative to the back wall; if they are too close, their bass may be affected (please see my previous post on this topic). Using the breaking-in process, you can guide your speakers through their growing pains and help them reach maturity; they will then be your faithful companions for many a year. Therefore, be patient and may your breaking-in process be successful ! This entry was posted on 07/02/2014 by Aublanc in Interviews, Loudspeakers, Tutorials and tagged atohm, loudspeaker, loudspeakers, membrane, speakers, spider, thierry comte.